Diagnosing problems with your Net Maintain provided email. Need help diagnosing problems with your email? We discuss some of the more common problems below, along with potential fixes. If you are a Net Maintain customer and still can’t sort out the problem contact us for help. 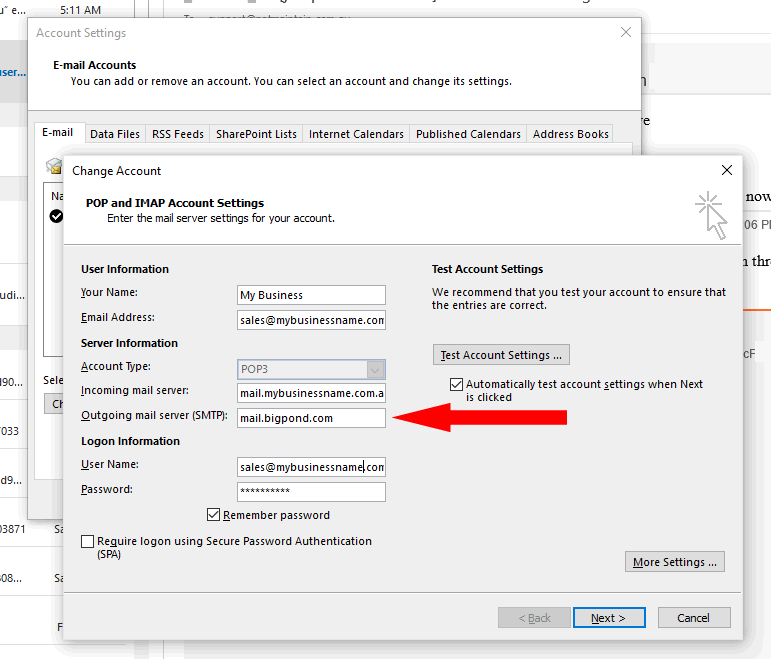 Please Note: These settings only apply to the basic POP email accounts and not premium nMail accounts. For nMail settings please use the setup wizard. Having the incorrect username or password. This will prevent you logging-in to the mail server. Having the incorrect incoming mail server (POP3) address. This is normally in the format mail.yourdomain.com.au. Please Note: IMAP configuration is not supported for legacy POP email accounts. There can be numerous reasons why you may be experiencing problems with sending messages. Some of these can be due to external factors such as intermittent connectivity, network and ISP outages. Make sure you do not have any messages stuck in your outbox. Sometimes a message can get stuck in your outbox and deleting it will clear the blockage allowing other messages to be sent and/or received. 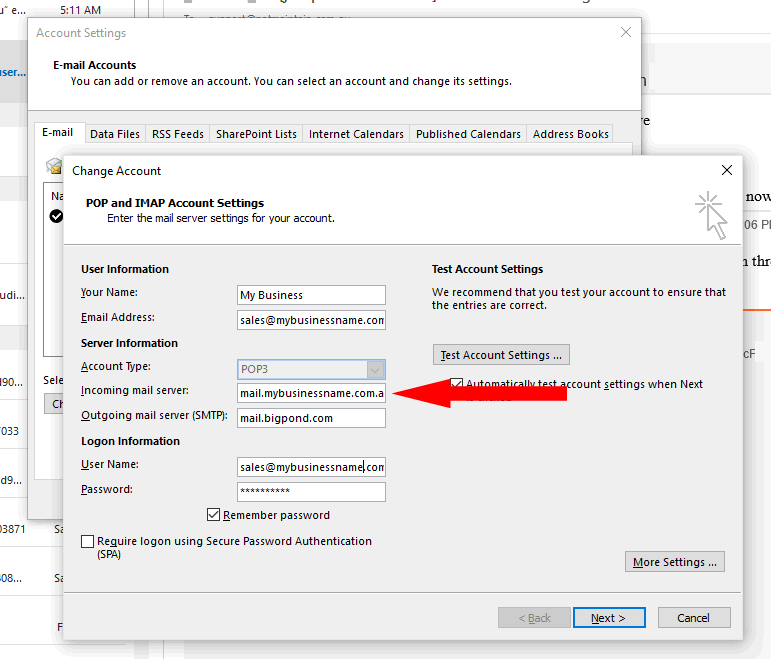 Your outgoing mail server (SMTP) settings may be wrong. For the basic POP mail service the outgoing mail server in your email program should be set to use the outgoing mail server of your ISP e.g. mail.bigpond.com (Please Note: this is only for POP mail accounts and does not apply to premium nMail accounts). 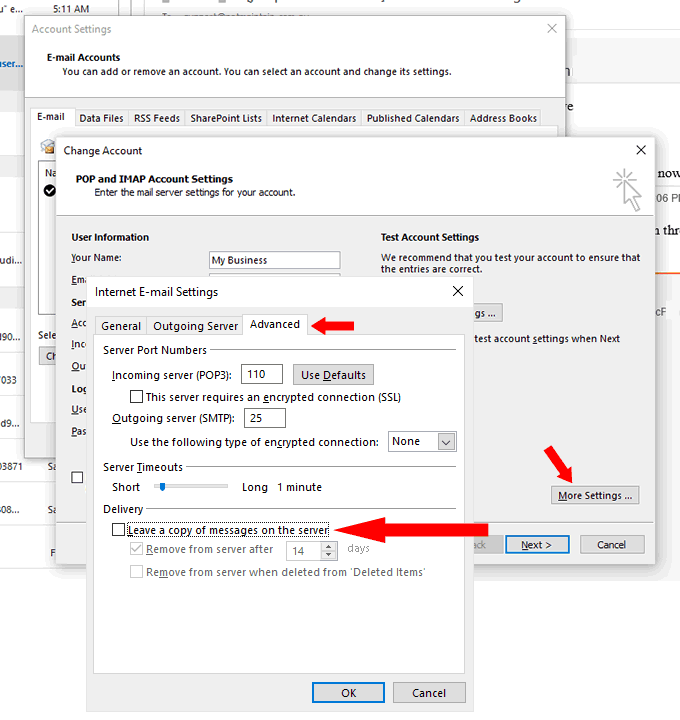 This setting can usually be found by going to the account settings in your email program and selecting ‘edit’ or ‘change’ for the specific mailbox that is causing problems. See below. Your email program is incorrectly configured and is leaving copies of messages on the server after you have collected them. In your email program account settings for the mailbox concerned you should have ‘Leave a copy of messages on the server’ unticked. See below.